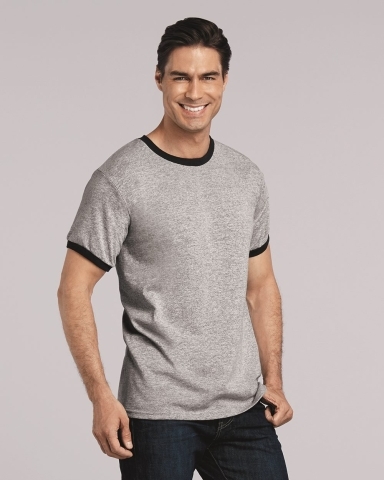 50% cotton, 50% polyester with DryBlend® technology delivers moisture-wicking properties. A seamless collar with taped neck and shoulders. Heat transfer label with contrast neck and sleeve bands quarter-turned to eliminate center crease; double-needle hem bottom.